Is there a meeting planned for September? This will be held on Tuesday January 13th 2015 7.30pm onwards at The Bell, Birmingham Road, Walsall. 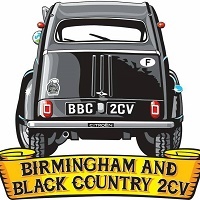 The December meeting will be held on Tuesday 8th December 2015 at 19.00hrs for food at The Malt Shovel, Newton Road, Great Barr. The January meeting will be held on Thursday 14th January 2016 at 19.00hrs for food at the New Talbot, Black Lake, West Bromwich.